You Say "Elegy", I Say "Eulogy"
When I went for a dance lesson with Tom yesterday, I brought him Naked by David Sedaris. He was looking at the back cover and said "What does elegiac mean?" Hoping to bluff, and look smart, I said "Um...'elegy-like'". "Thank you very much", says he. "What's an elegy?" I said, well, like Gray's "Elegy Written in a Country Churchyard." "So, then, is it like a eulogy?" "I don't think so...I don't know" I replied. A eulogy, or eulogizing, as you know, is saying nice things about somebody after they're dead. Its origins seem to be Latin, eulogium, and before that, Greek, "eu" or praise, and "logy" or speech. Now, elegy. It may be a poem written in a certain kind of couplet, but it is also a song or poem as a lament for a deceased person; a song or poem of mourning. It may be from the Phrygian, or back through French and Latin to the Greek "elegeia", or mournful song. I think the reference in the review of Sedaris's book meant that he was looking back at the past, some at his mother, who was diagnosed with breast cancer in one of the stories. Modern elegies may be written out of a broad sense of loss and metaphysical sadness. 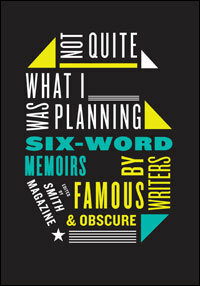 A few days ago, on NPR I heard an interview with the editors of the book Not Quite What I Was Planning, Larry Smith and Rachel Fershleiser. They are editors of online magazine Smith. They'd asked readers to write the story of their lives in six words. The results are riveting. Famous and not-so famous responded, hundreds a day. A famous example would be "I came, I saw, I conquered." Three words if you insist on the Latin "veni, vidi, vici", but works in English. They started with an example from Hemingway who was asked to tell a whole story in six words: "For sale. Baby shoes. Never worn." "I still make coffee for two." "After Harvard, had baby with crackhead." "Brush with death, comb with life." "Sold the saxaphone, bought a computer." "Previous high achiever succumbs to mediocrity." "Had a life. Became a wife." "Is it time to retire yet?" I tried to do my own, but couldn't think of anything I liked enough. How about you? My dance instructor, Tom, is reading The Professor and the Madman by Simon Winchester. 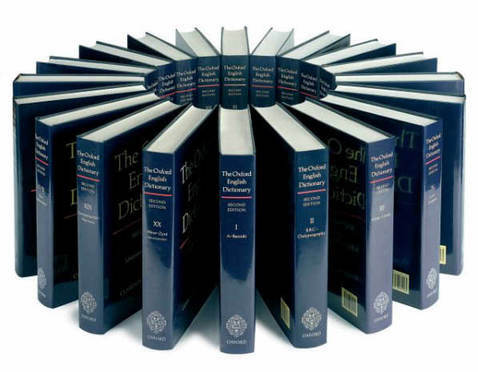 So it's no surprise that our conversation during yesterday's dance lesson was about the Oxford English Dictionary. We both thought it would be a cool thing to own, and just to browse through. Amazon has the twenty-volume set for just $542.23. Unfortunately, it's not eligible for Amazon Prime, so you'd have to pay for shipping. But you can choose one-day shipping. Tha's better than The Library Shop's twenty-volume set for $1560. But that includes shipping. Also interesting is that you can get many different versions, from a compact edition with the full text reproduced micrographically (reading glass included) to the Shorter Oxford English Dictionary, the Concise Oxford English Dictionary, the Little Oxford English Dictionary, the Single User Oxford English Dictionary, The Oxford Picture Dictionary (English-Spanish, English-Hebrew, English-Arabic, etc.) Lots of options. But the one that makes my pulse quicken is the granddaddy of 'em all. The twenty volumes (plus the three supplements). I'll have to build an addition on the house! Freezer bags: They are male because they hold everything in, but you can see right through them. Photocopiers: They are female, because once turned off, it takes a while to warm them up again. 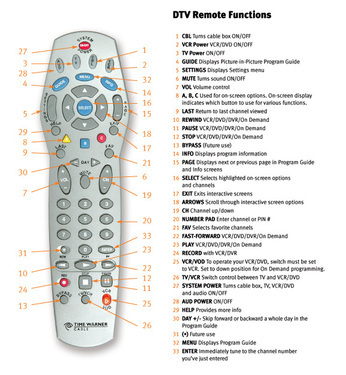 They are an effective reproductive device if the right buttons are pushed, but can also wreak havoc if you push the wrong buttons. Tires: Tires are male because they go bald easily and are often over inflated. (or under inflated). Hot Air Balloons: Male, because to get them to go anywhere, you have to light a fire under their butts. Sponges: Female, because they are soft, squeezable and retain water. Trains: Definitely male. They always use the same old lines for picking up people. Egg timers: Female because, over time, all the weight shifts to the bottom. Hammers: Male, because in the last 5000 years, they've hardly changed at all, but are occasionally handy to have around. I had long ago heard that the ropy, Rastafarian hairdo was spelled "dredlocks", supposedly from Dred Scott. This was brought to mind when, during a dance lesson, Tom mentioned that in high school, he had sported that hairdo. Had I been drinking Coke, it would have come spewing out of my nose, considering that he would have been a tall, lanky pale-skinned white boy. I asked him to dig up a picture. So far, no luck. 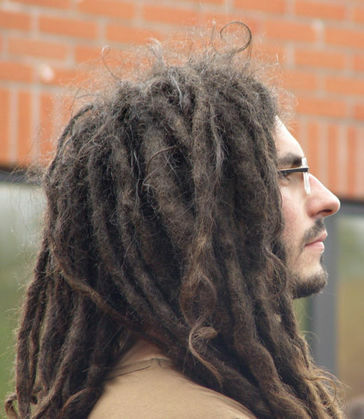 Anyway, when I decided to follow up on the origin of the name, a google search turned up a lot of hits for "dredlocks", mostly from individual blogs or MySpace pages, one under construction from Urban Dictionary. There were a lot more for "dreadlocks," however, including one at Urban Dictionary, so I guess that is the preferred spelling. 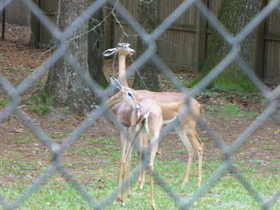 And there are a lot of photos of skinny white boys and girls sporting dreads, so I guess it's not as odd as it seemed. The do itself is made up of ropy coils, anywhere from yards long to inches short, anywhere from loose fuzz to tight braids. The style itself dates back to ancient Egypt, may years BCE. Young Jamaican's began wearing them in the 1950's, and the hairstyle made them look "dreadful", hence the name. At least, that is Wikipedia's version. The look was popularized in the 1970's when Bob Marley and reggae music took the country by storm. It continues to be popular today, though the hair style means many things to many people, anywhere from "environmental activist" to "reggae enthusiast" to "pot smoker" etc. Not a whisper about Dred Scott. Today I had a dance lesson, and was talking to Mike. He said a certain dance competition had been sanctioned by a ballroom association. First I thought it was being fined, or maybe boycotted, probably because the sense we hear the word used these days is as a punishment, as a penalty enacted to force one to obey the law, often by nations against a nation breaking international law. Of course, he didn't mean that. He meant almost the opposite, to give official authorization or approval to. So, what the heck was "The Eiger Sanction" about, anyway? 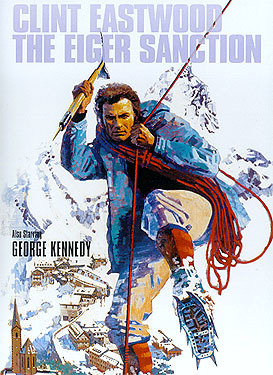 Yeah, mountain climbing, I know, but what was the "sanction?" Interestingly, "sanction" is from "sanctus", the past participle of sancire, "to decree, ratify, confirm, make sacred." Word History: Occasionally, a word can have contradictory meanings. Such a case is represented by sanction, which can mean both "to allow, encourage" and "to punish so as to deter." It is a borrowing from the Latin word sānctiō, meaning "a law or decree that is sacred or inviolable." In English, the word is first recorded in the mid-1500s in the meaning "law, decree," but not long after, in about 1635, it refers to "the penalty enacted to cause one to obey a law or decree." Thus from the beginning two fundamental notions of law were wrapped up in it: law as something that permits or approves and law that forbids by punishing. From the noun, a verb sanction was created in the 18th century meaning "to allow by law," but it wasn't until the second half of the 20th century that it began to mean "to punish (for breaking a law)." English has a few other words that can refer to opposites, such as the verbs dust (meaning both "to remove dust from" and "to put dust on") and trim (meaning both "to cut something away" and "to add something as an ornament"). 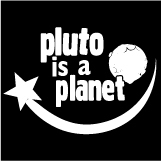 Thinking what we learned in school was the ninth planet really IS a planet? Plutolatry comes from the Greek, "ploutos" meaning wealth or riches, and "-atry", meaning service or worship. Thus the word means devotion to or worship of wealth. From the same root, a plutocracy is a place where government run by the wealthy class. For some reason, the word "exegesis" has been rattling around in my head. Don't know why, and don't know what it means. Dictionary.com gives a few references. In short, it means "a critical explanation, especially of a text (and especially of the Bible). The word's been around since the 1600's. It comes from Greek. "ex", from and "hegeistai", to lead. So it leads you through the text. According to Wikipedia, you may see the word used interchangably with "hermeneutics" which is the development and study of theories of the interpretation and understanding of text, often used about religious texts. The word is related to the Greek god Hermes (no relation to the designer), and derives from a Greek word for interpreter. 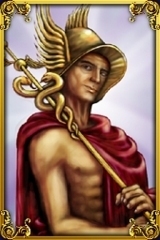 Hermes was the messenger of the gods, who often changed the messages he was delivering, changing their interpretation.